Following Burger King's Halloween Whopper controversy, here's five tasty burgers that won't turn your poo green. You may have seen Burger King's Black Halloween Whopper on Facebook lately, which was made in Japan and has confused everyone on the planet. Now, it turns out the colouring used makes your s*it green. We thought this was hilarious, and you can see the results in this tweet from @str8lazie (NSFW!!). For those of you who don't want ectoplasmic poo, here are five challenge burgers across the UK that would be fit for a king! 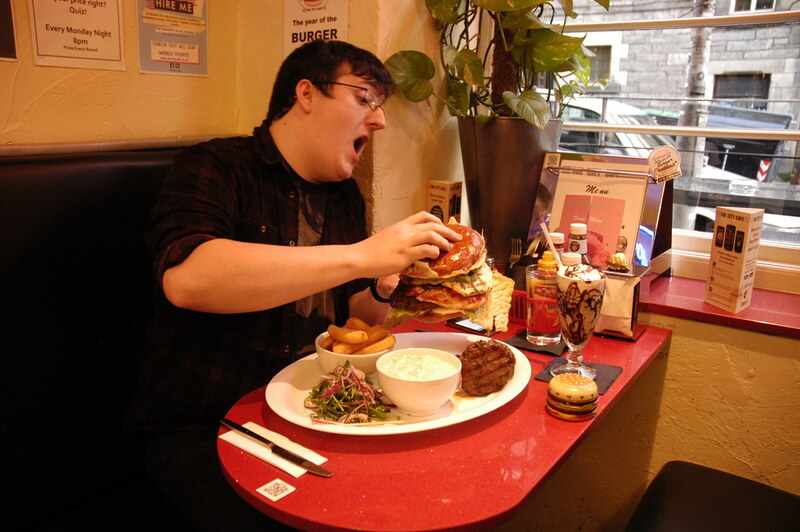 A whopping 4.5lb burger, chips and slaw that you've got to eat in under an hour. Look at this beast! Let's just go through the list of food here. 6x 8oz Steak burgers, 1lb of In-house smoked pulled pork, 8oz of homemade chilli, 1lb crispy bacon, 8oz of Monterey jack cheese, all in one bun! This is mental, and well worth the £20. Question is are you man enough to complete this in under an hour and eat for free? This 7lb prime black angus beef burger, with half pound mature cheddar cheese, 7 rashes of bacon, 1 whole lettuce, 7 whole tomatoes (don't care about the salad), a pound of chunky chips and a full size milkshake will challenge even the largest of big eaters! For a team, this challenge is possible, but man up and smash it on your own. 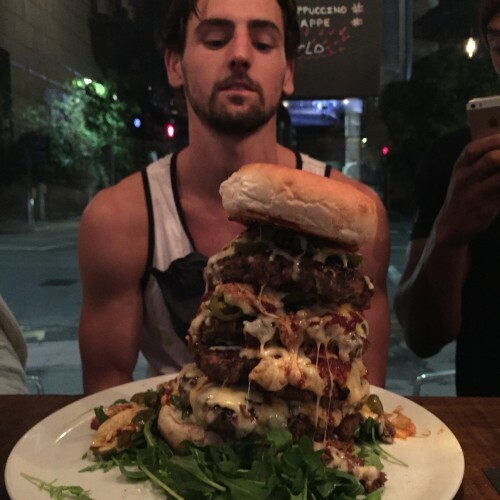 A 2 kilogram burger. Can you beat the meat in less than 30 minutes? If you complete it, it's free. Otherwise the price of your failure is £30! Over 70 people have tried, but only three have triumphed. Could you be the fourth? 3 hamburgers, 2 chicken breasts, 2 spicy bean burgers, 2 pineapple rings, bacon, mushrooms, gherkins, two types of cheese, guacamole and a whole lot more crammed into a plate sized bun. That will give you some Scottish s*its, but at least they won't be green!